The Crooked Jades are on a mission to reinvent old-world music, pushing boundaries and blurring categories with their fiery, soulful performances. 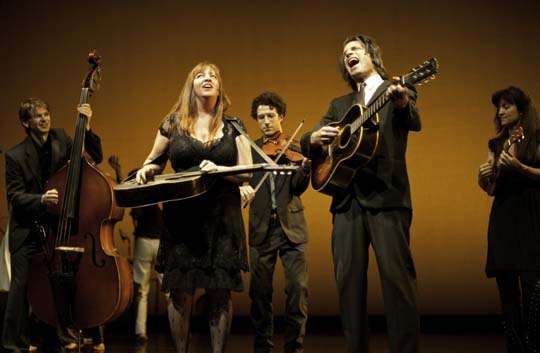 Innovative, unpredictable and passionate, they bring driving dance tunes and haunting ballads to performances across the country. Known for their rare and obscure repertoire, beautiful original compositions, inspired arrangements and eclectic and vintage instrumentation, The Crooked Jades began with a vision to revive the dark and hypnotic sounds of pre-radio music. With this old-time foundation, the band has created the unique Crooked Jades sound by exploring the roots of Americana and interweaving the diverse musical influences of Europe and Africa. Filtering these old-world sounds with universal and ancient themes through a post-9/11 lens, they seek to make sense of the future. 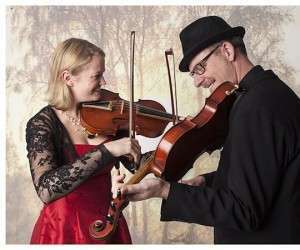 Mikael and Mia Marin are two of Sweden’s most accomplished traditional musicians. Mikael (five-string viola) is a founding and current member of the supergroup Vasen; Mia (five-string violin) plays and teaches all over the world. Their music, both traditional and original, is sweet, heart-rending, emotional, spiritual and lively. They sound terrific together.